Ratings Results of Interest: On Sunday, AMC’s The Walking Dead returned with its Mid-Season premiere and posted a 2.0 rating based on same day viewing for the 18-49 demographic with 5.2 million total viewers. That’s up slightly from its Fall finale, but counts as the lowest rated Mid-Season bow for the show across its nine seasons. But it is still one of the top-rated scripted shows on television and it has been renewed for a tenth season. Over on Disney, Star Wars: Resistance improved a tick to a 0.08 rating with 423K total viewers, while on Starz Counterpart slipped to a 0.06 score with 207K total viewers. On Thursday, Freeform’s Siren dropped by a third from the prior week pulling a 0.14 rating with 424K total viewers. That may just be a blip, though, and we will see how it tracks in the coming weeks. Over on The CW, Supernatural improved to a 0.5 rating with 1.6 million total viewers while Legacies improved to a 0.4 score with 1.1 million total viewers. Gotham and The Orville were in repeats on FOX. On Wednesday, Syfy’s The Magicians improved a tick to a 0.20 rating with 615K total viewers while Deadly Class improved to a 0.19 rating with 516K total viewers. The former show has already been renewed and the latter looks to be on track for a second season pickup. On Tuesday, Project Blue Book slipped to a 0.25 rating with 1.4 million total viewers, but that one continues to see notable gains from delayed viewing. The CW’s shows remained steady with the prior week while The Gifted was preempted for a second week in a row. News Roundup: The TCAs continued this past week, when the network bosses address the television critics, and there has been plenty of noteworthy news coming from that. AMC has cancelled its post-apocalyptic martial arts series Into the Badlands and that one will end after airing the remaining eight episodes of its third season. Starz has decided not to bring back its parallel-Earth series Counterpart for a third season, but its production company is shopping it around. The History Channel has renewed its UFO-investigation drama Project Blue Book for a second season after it has performed well so far in its first year. Hulu has expressed an interest in picking up Netflix’s cancelled Marvel shows if a deal can be worked out with Disney. ABC has decided not to move forward with the series it was developing that would have centered around a female-led group of Marvel superheroes. In development news, Netflix has picked up the Spanish-language superhero series El Vecino and an anthology series based on the EC comic Weird Fantasy is in the works. You can read more about those and more development at this link. 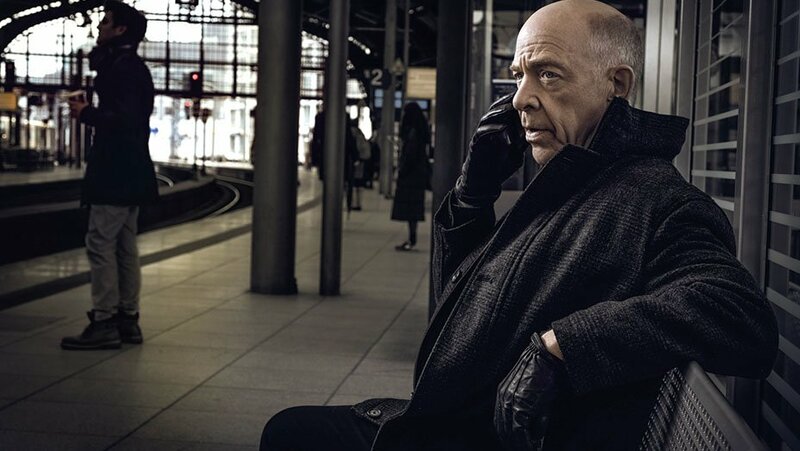 Counterpart (Starz, Status – Cancelled): As expected, Starz has decided not to bring this show back for a third season. But its production company is currently shopping it around to other venues, and it could definitely use a Call to Action from fans on the social networks to boost its prospects. Deadly Class (Syfy, Status – Renewal Possible): This show is currently performing well for a Syfy series as it is their second highest rated show of the season. It looks to be on track for a second year renewal. The Gifted (FOX, Status – Renewal Possible): This show is down notably year over year and it is not getting the same lift from delayed viewing that it was seeing last year. FOX owns the show and it is part of the X-Men franchise, so that works in its favor. But seeing as it is currently one of the network’s lowest rated shows (and is certainly expensive to produce) it has to be counted as very much On the Bubble and could definitely use a Call to Action from fans. Into the Badlands (AMC, Status – Cancelled): The good news is that this show will be returning to the schedule on March 24th. The bad news is that the remaining Season 3 episodes will be its last. After remaining silent on the status of the show since it wrap up the first half of its third season last June, AMC has announced that it will not be returning for a fourth year. The Orville (FOX, Status – Renewal Possible): This show returned with good ratings for its Season 2 debut, getting a boost from NFL Football with a special Sunday airing, but its numbers are down in its regular Thursday timeslot. It continues to perform well in Live+7 delayed viewing like last year, but fans might want to start prepping a Call to Action campaign just in case. The Passage (FOX, Status – Renewal Possible): This show got off to a good start with it premiere, but its numbers have slipped since then. If it does not drop any further, though, it could stick around for a second season. Siren (Freeform, Status – Renewal Possible): This show’s second season debut was slightly higher than its ratings average from its first year which definitely counts as a win in the current ratings-challenged environment. If it does not slip too much in the coming weeks, then a third season renewal looks like a good bet. The Haunting of Hill House (Netflix, Status – Renewal Possible): This show was promoted as a “limited series”, but the response has been pretty good thus far and Netflix could decided to extend that limited run into a second season. Nightflyers (Syfy, Status – On the Bubble): This show debuted with passable numbers for a Syfy series, but airing it on consecutive nights did not work in its favor as it was not able to sustain its nightly viewership. It may have done better in digital viewing, but Syfy is apparently keeping those numbers under wraps. A second season is still possible as the network tends to renew freshmen shows to give them a chance to build up an audience, but I consider that very much a tossup at this point which I discuss in more detail at this link.